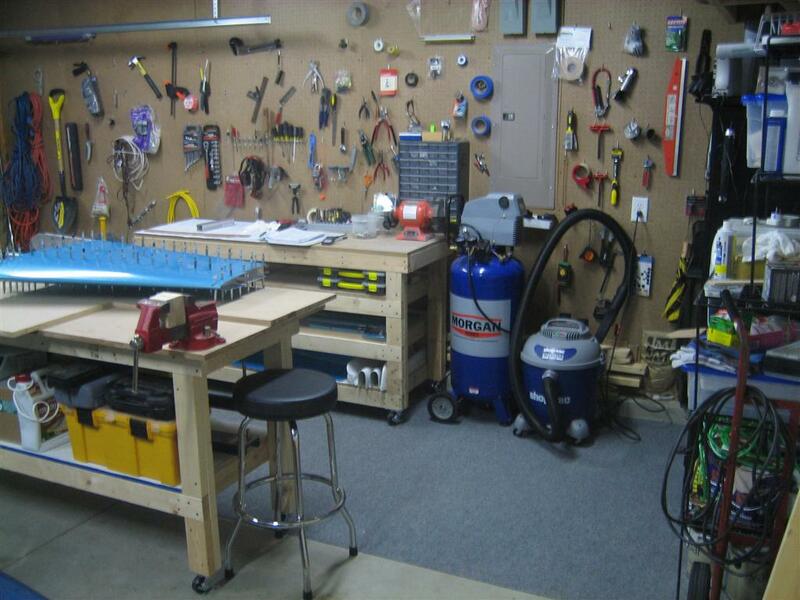 Slightly different layout for the workshop. I like this. Tonight, I started by disassembling the vertical to start the deburring, dimpling, countersinking, cleaning, priming, and then reassembly dance. 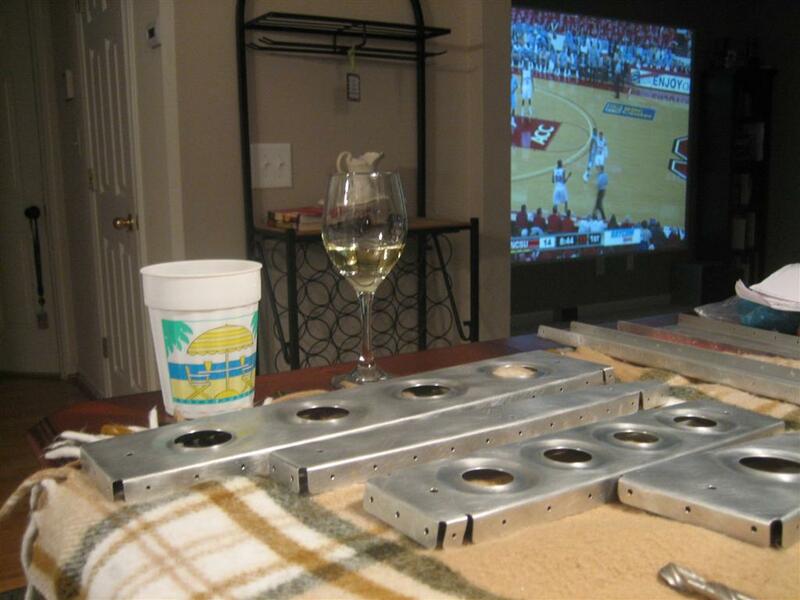 Here I am set up in front of the UNC game for some deburring. Ready to deburr some holes. Don't judge me for drinking white. We had red snapper for dinner. 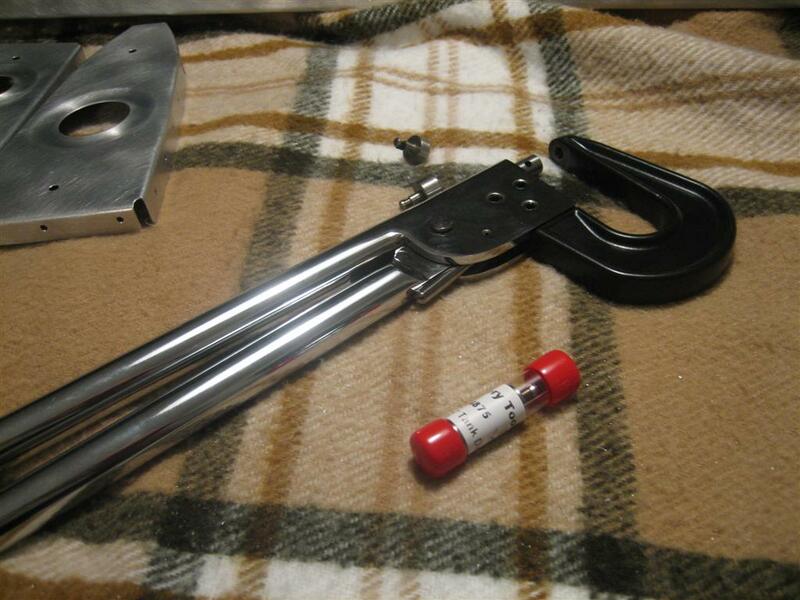 After what seemed like a thousand holes to deburr, I broke out the 3/32″ tank dimple dies and the 1/8″ regular dimple dies (for the rear spar) and got ready to dimple. 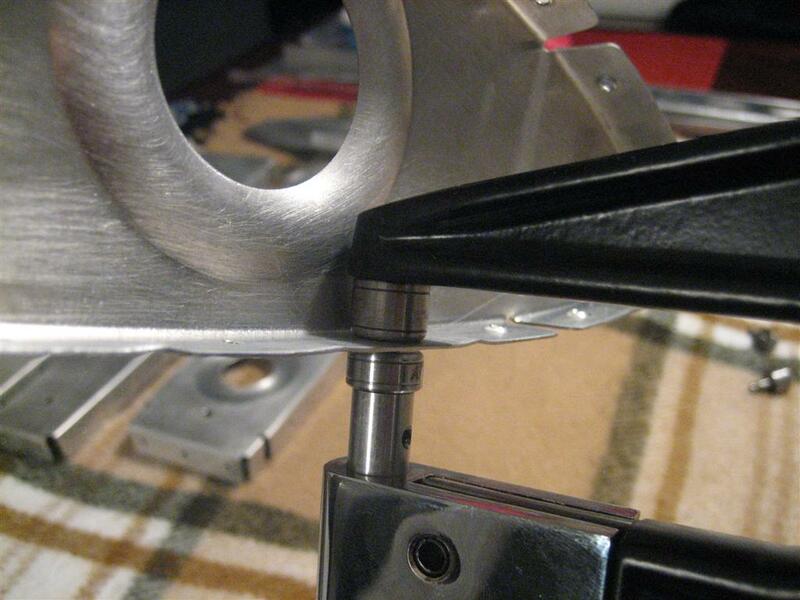 Dimpling is much easier than deburring, and fun, too. I know deburring is important, but I feel like I’ve made progress after dimpling. Then, I started dimpling the ribs and spars. Here are the 3/32″ tank dies in action. 3/32" tank dies in action. 1/8" dimples on the rear spar. These are my first 1/8" dimples. After finishing dimpling, I grabbed the skin and brought it inside to devinyl. Devinyling is a lot easier indoors, where the vinyl is room temperature. 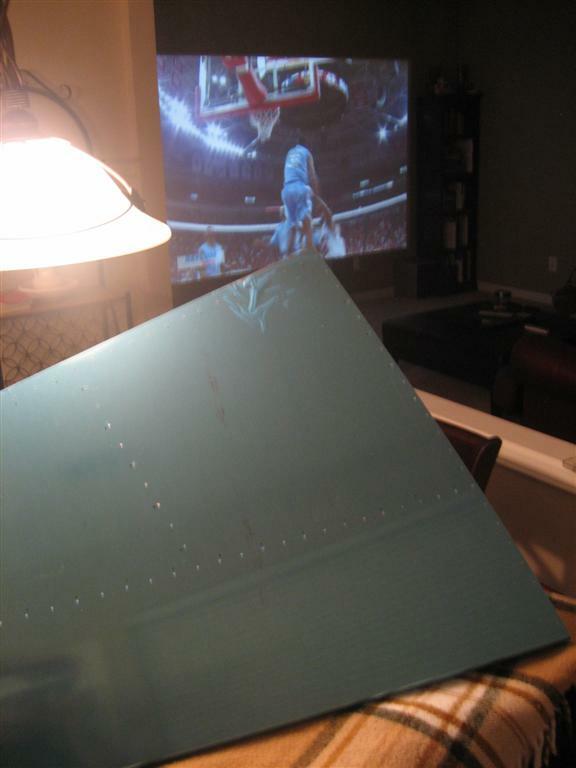 I tried pulling off the horizontal stabilizer vinyl in the garage when it was near freezing, and it kept tearing and was very stiff. Waiting for the soldering iron to heat up. After using the soldering iron and a wooden straight edge (the metal straight edge carries heat away too quickly, and you don’t get a melt line), I got to pull off the vinyl. For some odd reason, I find devinyling very cathartic. 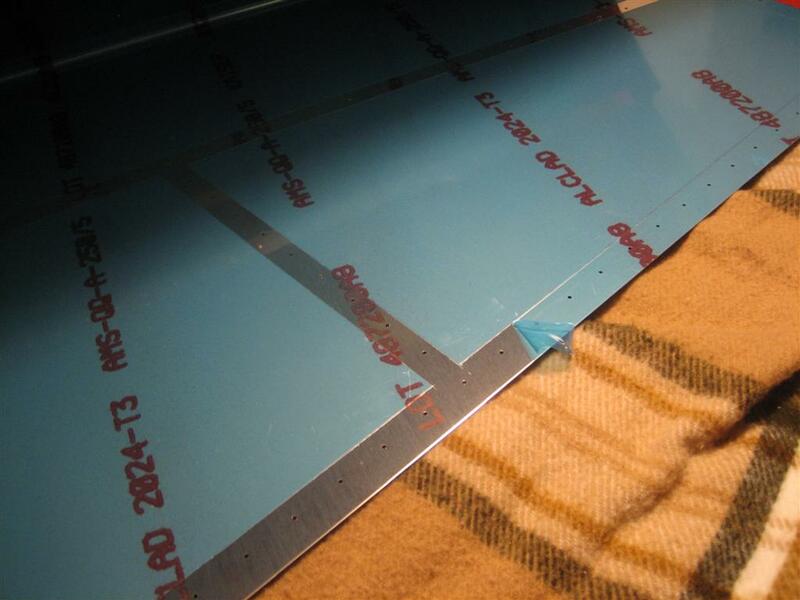 I love pulling off the blue to see the shiny aluminum underneath. Pulling off the vinyl on the inside of the skin. Ready to pull off the blue vinyl on the exterior of the skin. Ready to devinyl the outside of the skin. 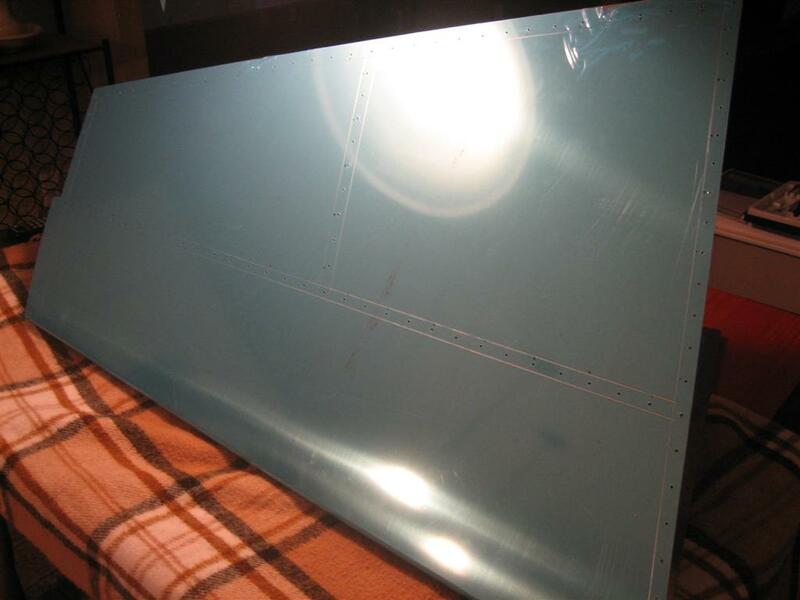 And finally, the vertical stabilizer skin devinyled (and everything carried back out into the garage). Pretty skin. Also, that's me in the reflection. 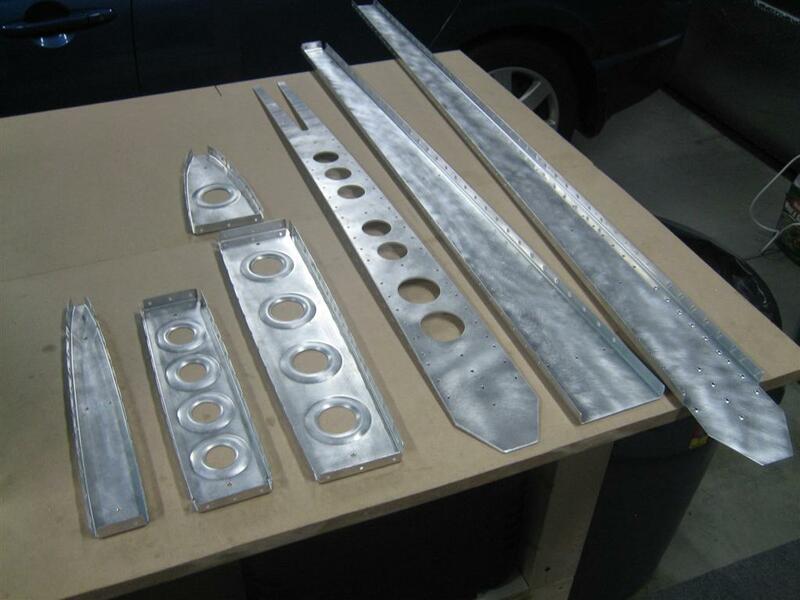 Ribs and spars deburred and dimpled. 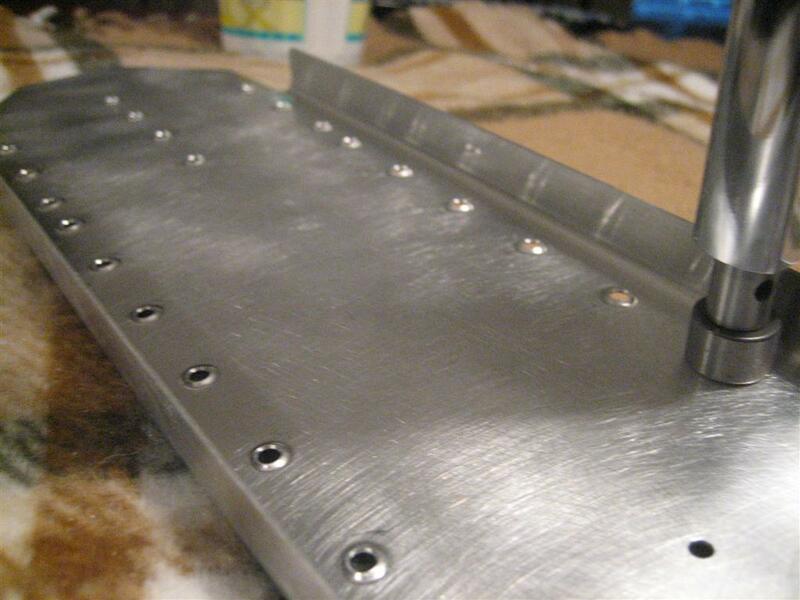 Next up, countersinking the rear spar reinforcement then deburring, dimpling, and scuffing the skin. Then priming, then I get to put this sucker together. I can’t believe how much faster the vertical is than the horizontal. Part of it is the learning curve, but I think they should have you start with the vertical. Much easier, in my opinion. 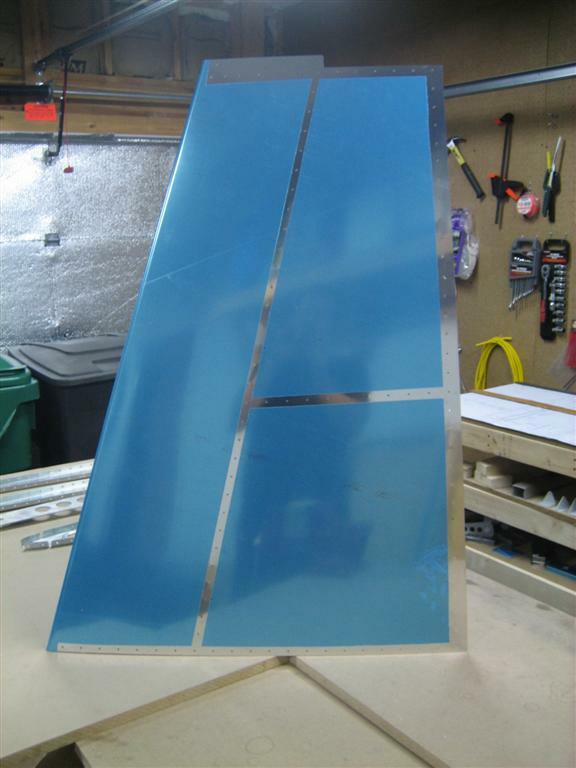 This entry was posted on Tuesday, January 26th, 2010 at 11:59 pm and is filed under Empennage. You can follow any responses to this entry through the RSS 2.0 feed. You can leave a response, or trackback from your own site.